Drum & Bass, Jungle, Juke/Footwork, and Trap. 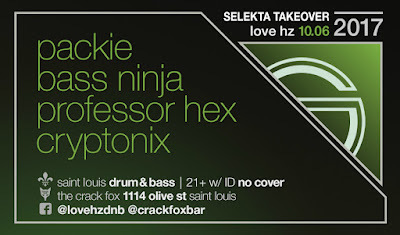 First Friday of every month at The Crack Fox, 1114 Olive St, St. Louis, USA. 21+. Open until 2:30am. Presented by Warrior Drum Recordings and hosted by Cryptonix. mixed at breakneck speed. 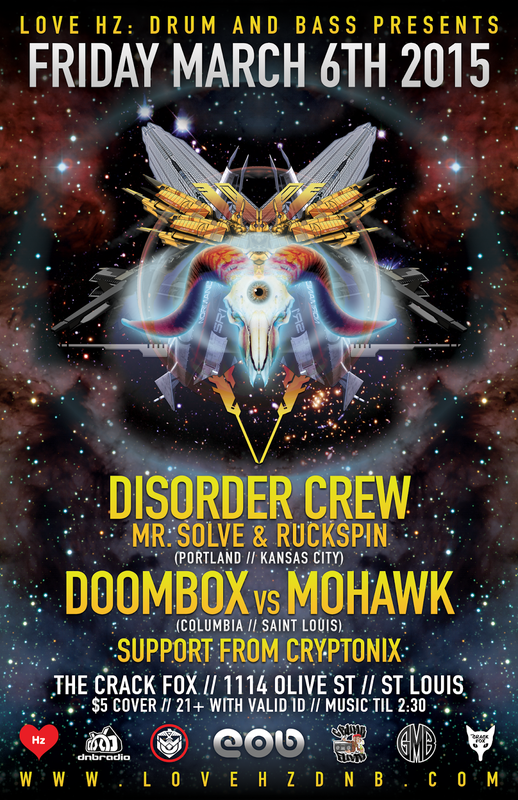 Also back in town, with a license to wreck it is Doombox [Crunk Funk Music/Warrior Drum-Columbia], with a range of styles from Trap to Hard Drum & Bass to keep you dancing and keep you guessing. The Mohawk [Global Music Broadcasting-Saint Louis] makes his Love Hz debut this night, bringing a range of styles leaning towards the lower end of the tempo spectrum, guaranteed to get the heads nodding. 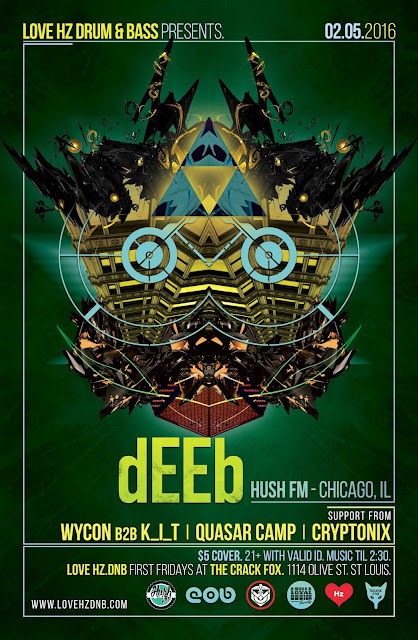 Love Hz resident Cryptonix [Warrior Drum-Saint Louis] will be warming up the dance floor with lean and mean Drum & Bass to get it moving.